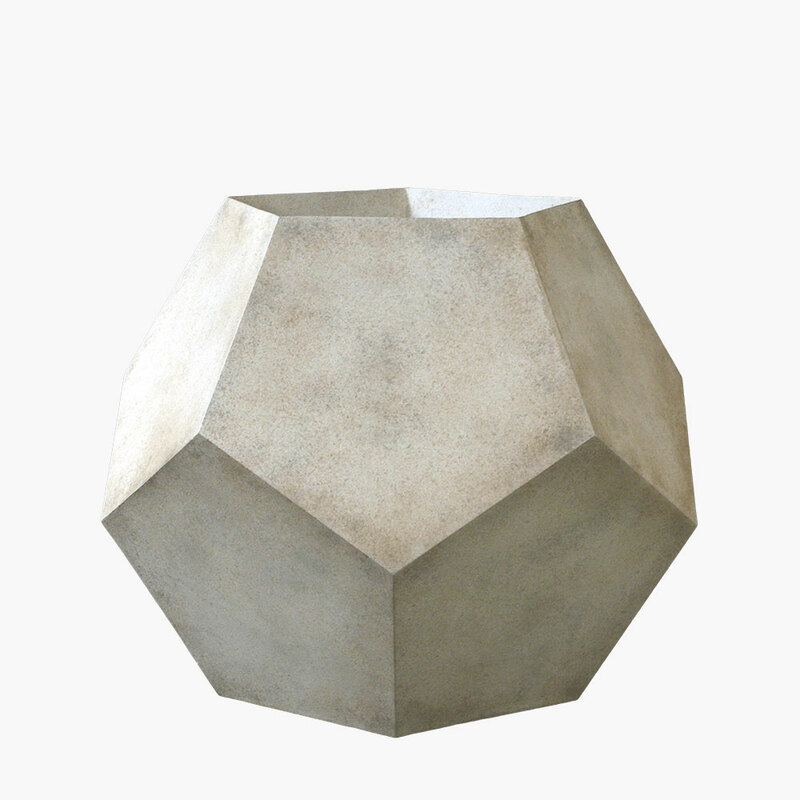 Geometric Outdoor Planter for Courtyard Gardens | Stone Yard, Inc. 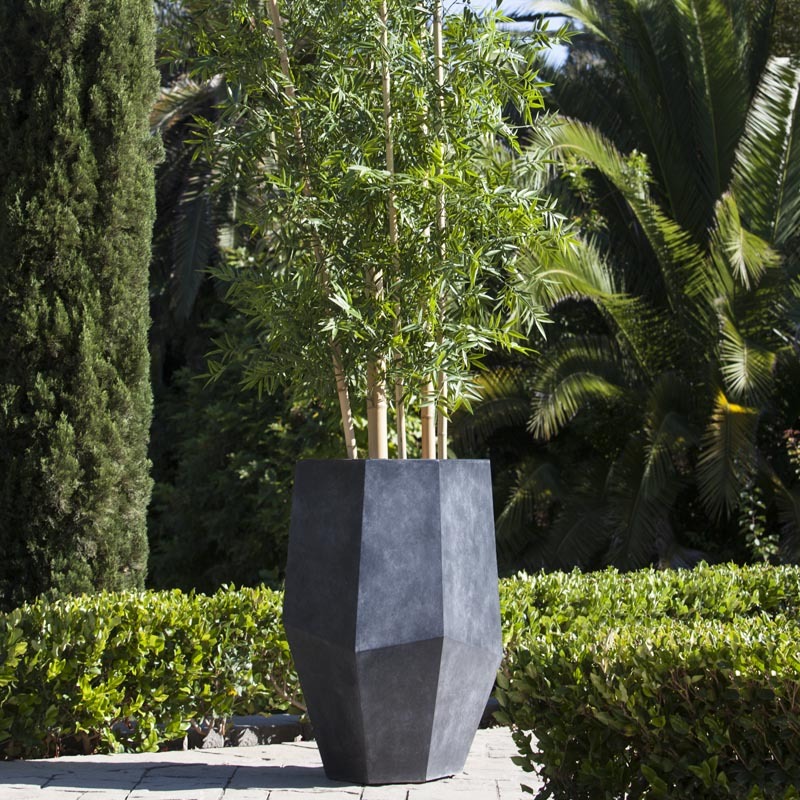 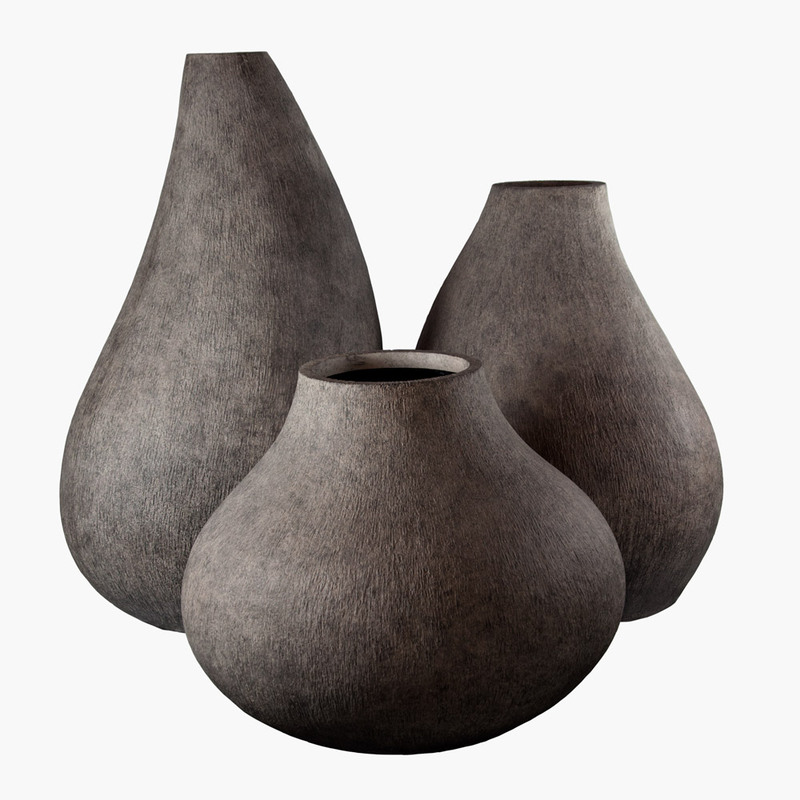 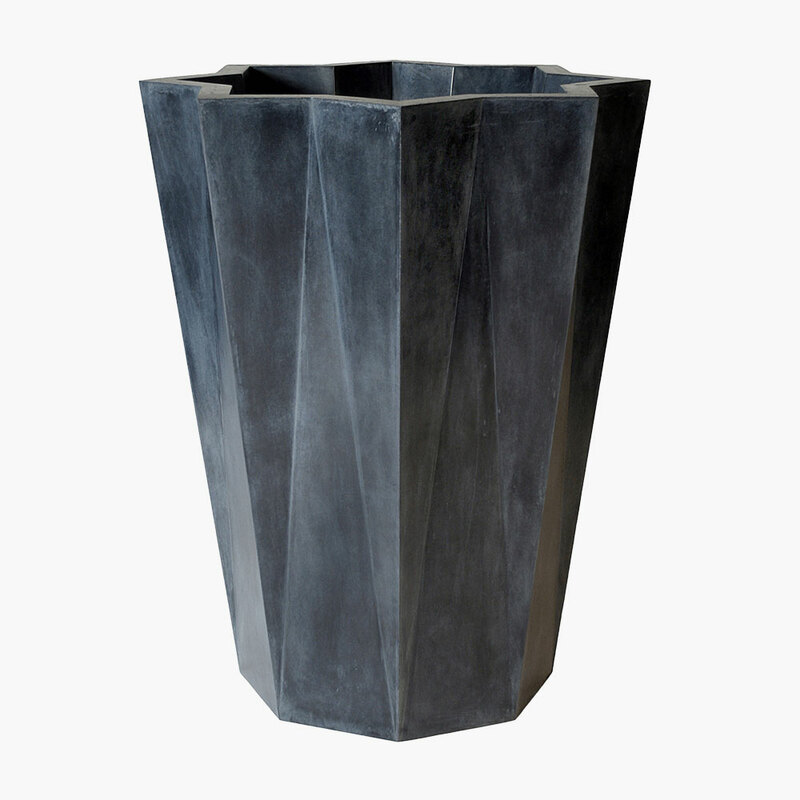 Featuring the flat planes and sharp angles that define modernist furnishings, the Cuarzo contemporary planter brings visual interest to any space. 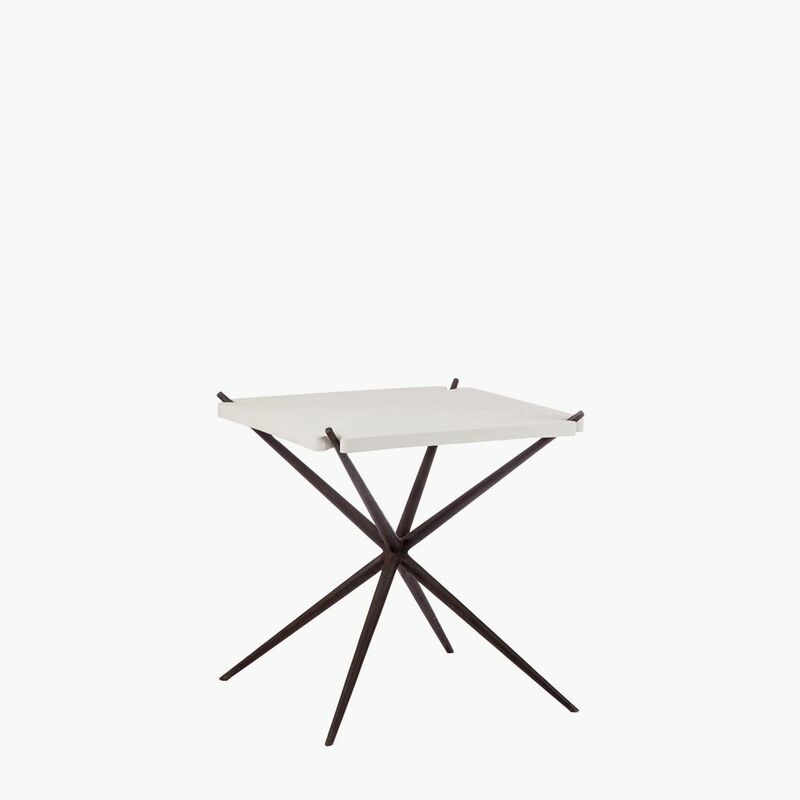 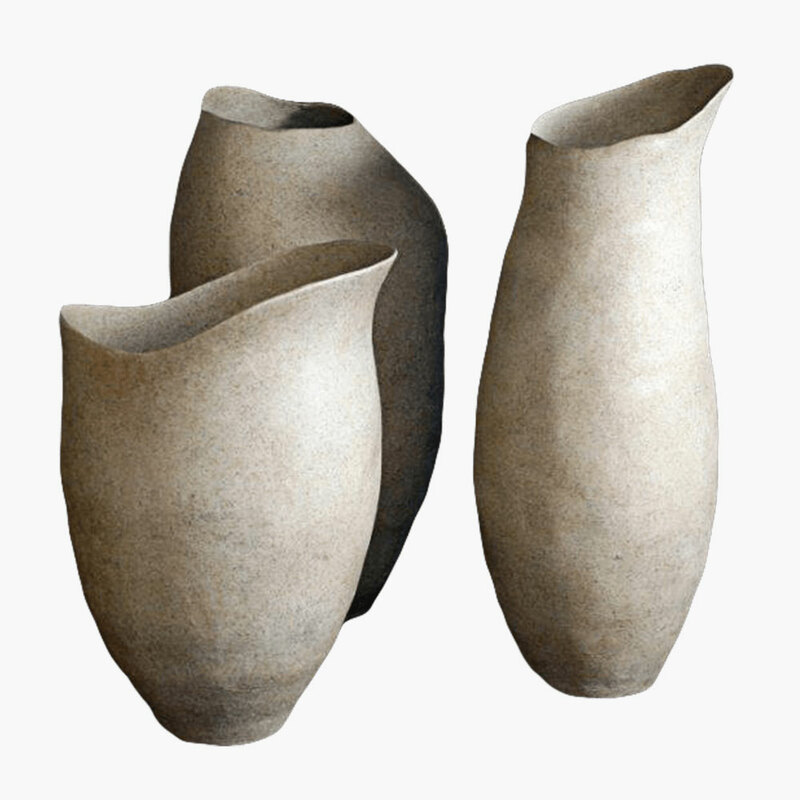 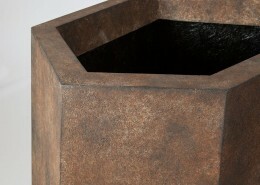 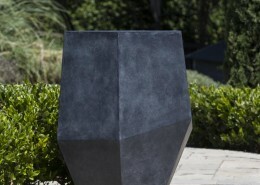 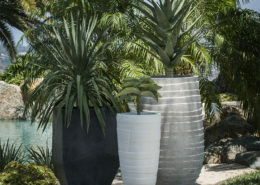 Its geometric form equates it more closely to a work of abstract art than to a traditional plant container. 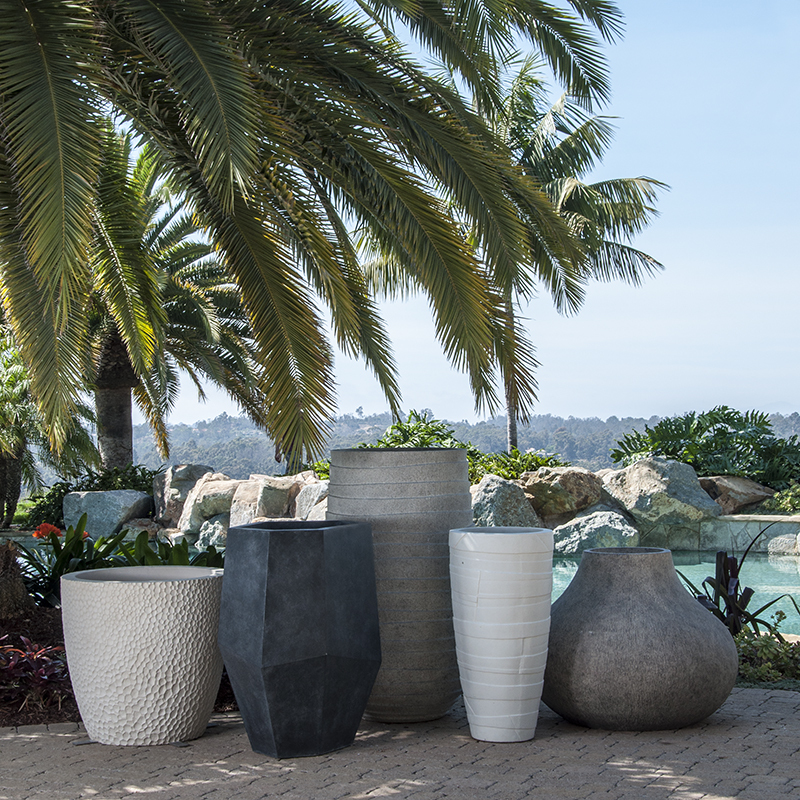 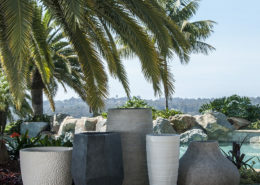 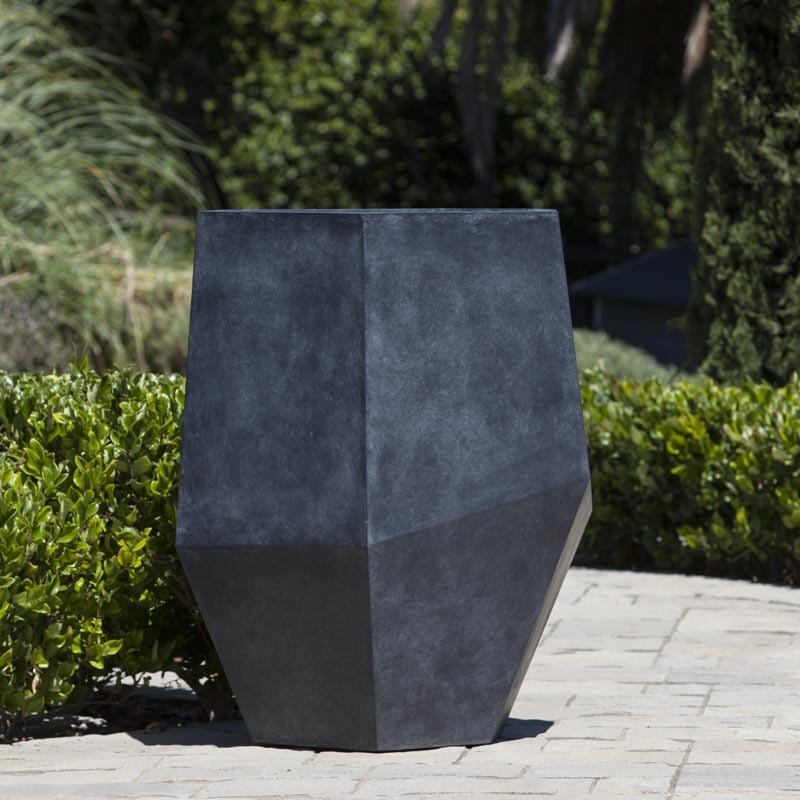 Like quartz, these geometric outdoor planters show off a silhouette that is prismatic, much like rock crystal formations. 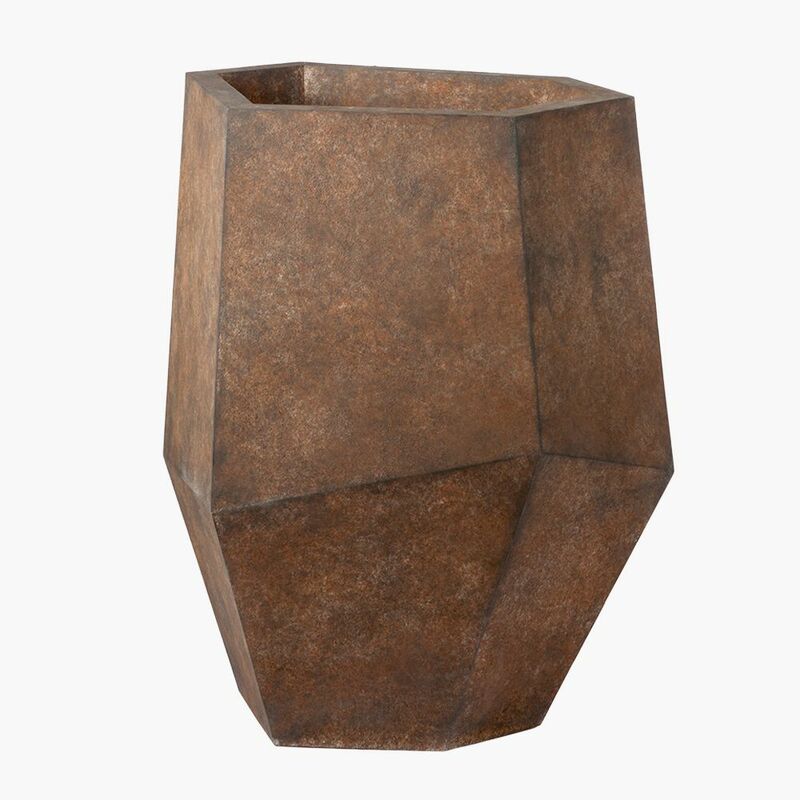 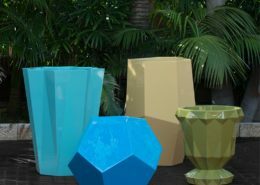 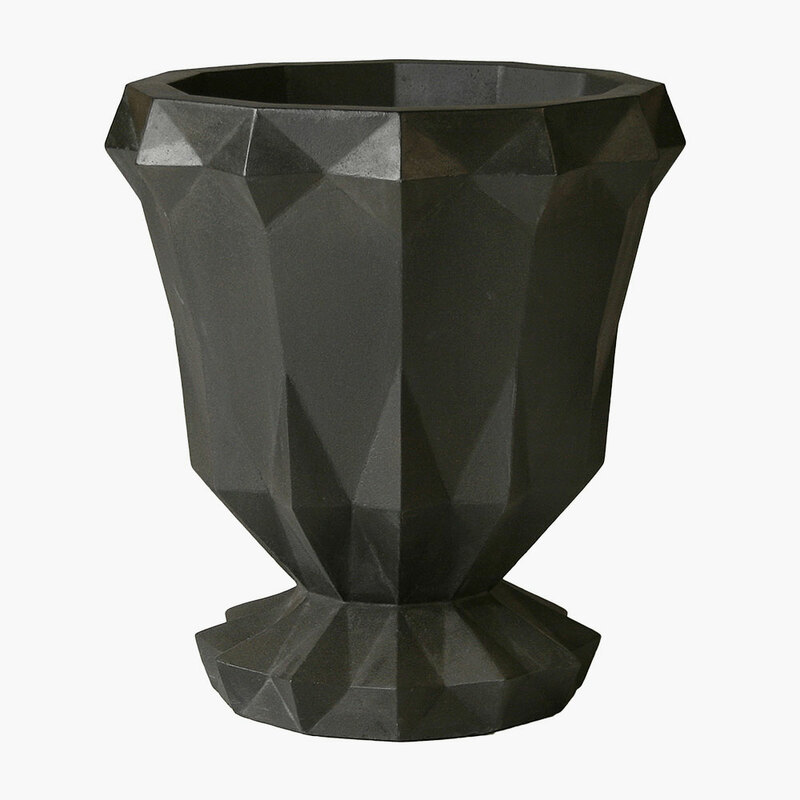 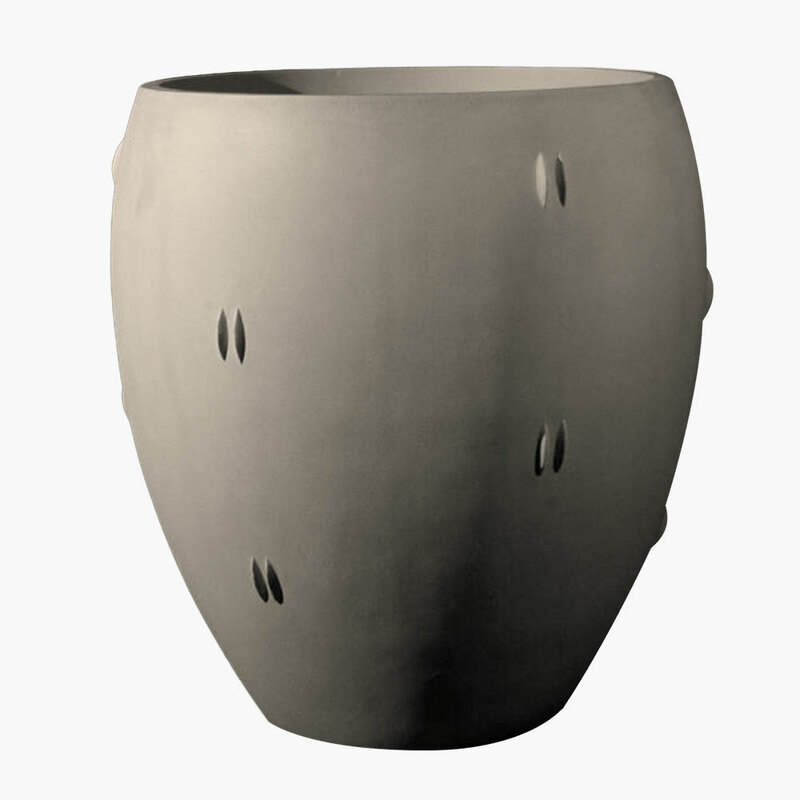 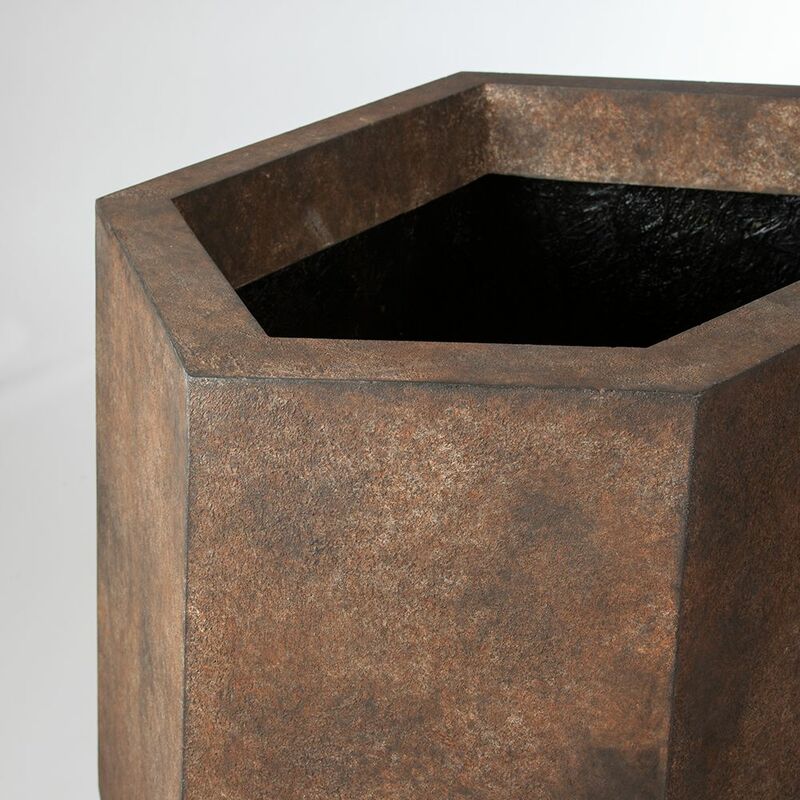 This geometric outdoor planter can be finished with the color of your choosing so that you can perfectly match it to your existing décor, whether it is a hotel lobby, a stylish eatery, or a residential foyer. 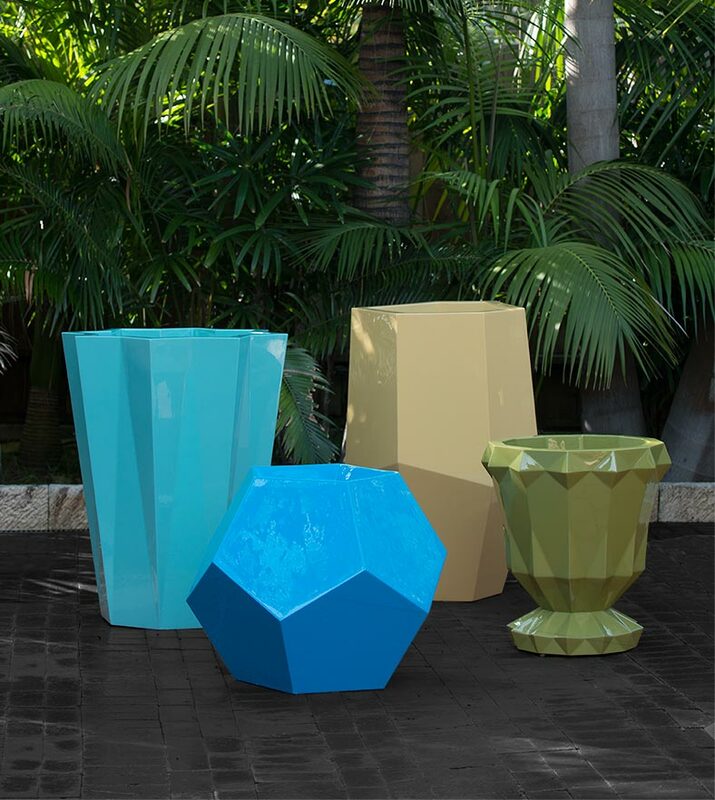 Bold hues stand out spectacularly against clean and neutral backgrounds. 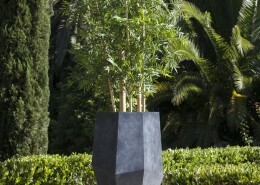 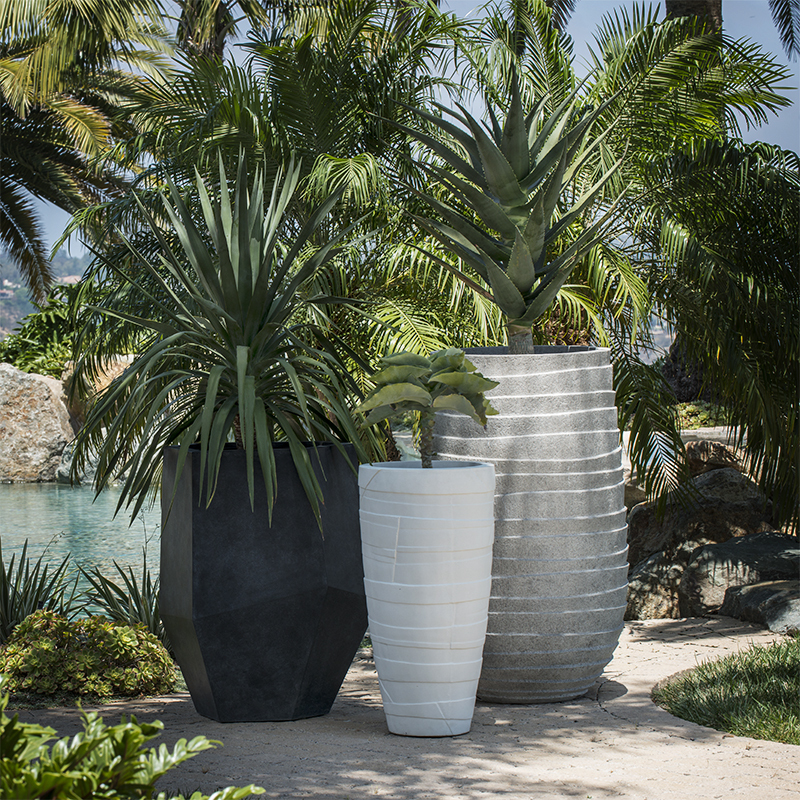 Fill the Cuarzo with a simple planting of an evergreen shrub or palm and let its unique style steal the show.